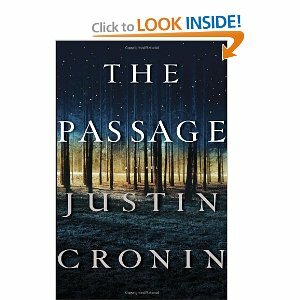 The Passage is a heady mix of all things that are currently hot in the reading world as of late: vampires, the end of the world, political tension and violence. So it makes sense that it would be a great book for summer, albeit lengthy at 700+ pages. What starts off in the not so distant future as a gov't science experiment quickly escalates into the apocalypse for mankind as the subjects of said experiment turn out to be bloodthirsty monsters. Fast forward nearly 100 years later to a small colony of humans struggling to stay alive. The key to all of this is a little girl named Amy. Intrigued? You should be.